We now have NikoScope search plugins for your browser: If you are using FireFox 1.x, 2.x or Internet Explorer 7, you can add NikoScope search to the search drop down in your browser. The plugin is an easy and fast way to find any content and discussion on Nikon related material. Tune in for information on the latests releases from Adobe and Lexar, as well as what's new in the CoolPix world! Adobe releases Camera RAW 3.7. Get the Mac or the Windows updates today! Lexar has released new CompactFlash cards and professional-grade card readers. Get the scoop from our news blog! NIkon celebrates the 10-year anniversary of the CoolPix line by releasing eight new CoolPix models! Marsel van Oosten is hosting 2 photo trips in 2008. The Brown Bear trip in June, and the Namibia trip in May. Spaces limited! How do you know if VR is working? Please help us identify this bird! Email Jessica or leave a comment in the forum. Recently spotted at the local RitzCamera were flyers for a three-hour seminar on D80 use and features sponsored by Nikon. The details promised an evening of "how-to" instruction and owners were encouraged to bring their camera. For those members within driving distance of Boston, MA; the class is being held on 28-February from 7PM to 10PM at the Marriott Boston Newton, 2345 Commonwealth Avenue. Registration is required and a USD50 fee is incurred - call 617-969-1000 for details. Attendees will apparently receive a USD25 gift certificate good at Ritz Camera Stores and related chain locations (Kits, Wolf, etc). Nikon celebrates the Tenth anniversary year of the Coolpix digital camera line by releasing eight new models that will appeal to everyone - from the casual snapshooter to the enthusiast-pro. The Coolpix Life family receives three new members, the L10, L11 and L12. Designed for the entry-level photographer, all three models share similar builds, a 3x optical Nikkor lens and very large viewing screens. The L10 and L11 are 5MP and 6MP cameras with ISO 800 capability, while the 7MP L12 adds a stunning ISO 1600 ability coupled with a new image processing engine and optical Vibration Reduction. Our colleagues at LetsGoDigital have a detailed preview on the L12 that is a must-read. Nikon's fashionable and technically savvy line of Style cameras receives two updates and two new camera models. First up; the 7MP S50 and S50c models update the popular S9 line - with 3x Nikkor zoom lenses, enormous 3.0 inch rear LCDs, optical Vibration-Reduction and ISO 1600 performance - these cameras will continue to be a hit with shutterbugs who want to look good but get the shot when it's needed. The S50c will also be linked to the improved COOLPIX CONNECT 2 network and can upload up to 2GB of images to a dedicated Nikon server wherever a wireless Internet connection exists. The Style family's newest members, the S200 and S500, continue to raise the performance bar for digital compacts while breaking new ground in build and performance. Similar to the S50 series, both cameras have 7MP sensors, 3x Nikkor zooms and sturdy metal bodies. The S200 is made of brushed aluminum, ISO 1000 upper limit and features a new electronic-based Vibration-Reduction (eVR) capability. The S500 has a sleek stainless steel exterior, Optical Vibration-Reduction, an amazing ISO 2000 upper limit and what could be the fastest shutter lag in the entire series - 0.005 seconds in release-priority mode. And last, but certainly not least, enthusiasts will cheer at the return of a professional-grade Coolpix camera. The Nikon P5000 is squarely aimed at shutterbugs who have moved on to a digital SLR, but long for the days of being able to carry a backup that could meet more demanding requirements in a more compact form. The base specifications read like a who's-who of recent Nikon DSLR features - a full gamut of traditional shooting modes (PSAM), a 10MP sensor, optical viewfinder, 2.5 inch rear LCD and an upper ISO limit of 3200 coupled with a new on-board imaging engine to reduce noise and improve photo quality. A 3.5x Nikkor zoom is steadied by optical Vibration-Reduction, and by using optional WC-E67 and TC-E3ED teleconverters, can go as wide as 24mm or a far-reaching 378mm. As icing on the cake, the P5000 is also the first Coolpix to be iTTL compatible; owners can now take full advantage of system integration with existing SB-400, SB-600 and SB-800 for reliable flash photography. And for our members in England and Ireland, Nikon UK has launched a contest to win one of these new models for your very own. 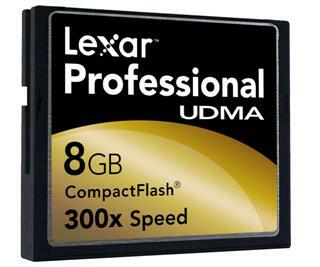 Lexar has launched two significant product releases today; a new line of 300x UDMA Compactflash cards and two new professional grade card readers that accept UDMA cards as well as SDHC media. The new Ultra Direct Memory Access compactflash line promises a stunning 300x or 45MB per second capability, outshining the current 133x line by approximately 125 percent, when used with a UDMA-capable camera or device. The cards will be available in 2GB, 4GB and 8GB capacities. Complementing the cards will be a new Firewire 800 UDMA stackable CF reader and a new USB2.0 dual-slot reader that can accept both UDMA compactflash and Secure Digital High Capacity cards; the latter can read both cards simulataneously. Both readers are backwards-compatible with previously released Lexar cards. Adobe has put up the latest point release for Camera RAW in Photoshop CS2. This version adds support for the Nikon D40 as well as the promised cross-read capability between CS and Lightroom. The updated plug-in is available for both Mac and Windows. 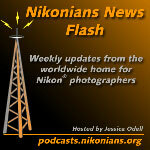 Nikon updates, Helgoland 2007 information, and important news from Nikonians feature in this week's News Flash. Also, listen in to hear about an award-winning Nikonian! Get the latest Capture NX updater! Version 1.1 is now available! There's only 1 seat left for the Helgoland 2007 photo trip. We're upgrading our servers! Please find out more about it here. Kudos to our very own Melanie Snowhite, grand-prize winner in the black and white category of the Photographer's Forum Magazine's 27th College Annual Print Competition. Melanie also won 1st place in last year's International Color Awards, and is a finalist in our POY 2006 contest! UK residents should check out this thread about a petition with hopes of preventing legislation that would restrict photographer's rights in public places! We are migrating to new, more powerful servers throughout the next two months. In this process, we are also doing data maintenance, which includes deactivating inactive accounts. Some 7,300 member accounts are involved in total. These accounts have all been identified as either being inactive over a prolonged period of time or they cannot be reached through email (email is bouncing). Should your membership account be in the group of accounts that are deactivated, please get in touch with us through the contact link at the bottom of each page so that we can reactivate it. Make sure you are contacting us through a working email account and that we are not blocked by any anti-spam measures you may have installed. This week, learn more about wireless TTL flash with Nikon's Creative Lighting System. We'll discuss the R1C1 macro speedlight, and uses for the SU-800 commander module. Also in this episode: Jason shoots a panoramic image with his D2X. Learn how he did it and get your weekly "Photo Prescription" from The Image Doctors. Nikon has updated Capture NX to version 1.1. This free update to Nikon's NEF converter and image editor is available to Mac and Windows users of Capture NX from the Nikon USA website. New features include Windows Vista support, Native Intel Mac support, improved batch performance and resizeable histogram windows. This week Jessica brings you news of a new underwater housing from Fantasea, an inkless printer, Nikonians Workshops, and more! Fantasea introduces a new underwater housing for the D40! The "Zinc" is a new inkless printer! Find out more from our pals at Imaging Resource. Check out the D40 review by Thom Hogan. Pogue praises the 18-200 VR in his Circuits. March Workshops from the Nikonians Academy! Find out more here. We need your help with Version 2 of the Nikonians Teleconverter Compatibilty Chart. Give us your input in this thread. Feedback Welcome! Drop Jessica a line in the Podcast Feedback Forum, or direct email! The New York Times Technology writer sings effusive praises of Nikon's popular superzoom in his latest "Circuits" e-mail column. Thom Hogan has posted his much-anticipated review of the D40. Does he like it? Bottom-line: it seems likely to be able to hold it's own against the rest of the 8 and 10MP pack. Read the review for details. Nikon has entered yet another market - this time, glass substrates, a component heavily used in LCD televisions. The camera maker has spent a little under USD20 million to build a new facility near Tokyo. The outlook for glass substrates is seen to be very profitable given the popularity of flat-screen TV sets. Our colleagues at Imaging Resource report on the invention of an inkless printer. The product is called Zink and is the creation of a startup that heavily leveraged Polaroid technology - the ink is actually embedded in the paper rather than stored in the printing device, and is activated by heat. Nikon Coolpix S9 owners with an urge to take their camera diving or snorkeling will want to check out the new Fantasea Line FS-9. The FS-9 housing is included in Fantasea's new generation of fully functional Coolpix housings which enables the underwater photographer to access all essential control functions. This housing is ideal for outdoor and underwater photographers who enjoy the camera's automatic exposure features for capturing fast action pictures easily and creatively. The Fantasea FS-9 housing provides the most compact design for easy handling and accurate access to camera functions through the critical placement of push-button controls. Underwater photographers can dive or snorkel and capture all the excitement of this fascinating world, while outdoor photographers also have the option of capturing the action of such activities as white water and paddle sports, sailing and boating, surfing, fishing, hunting, backpacking and camping. 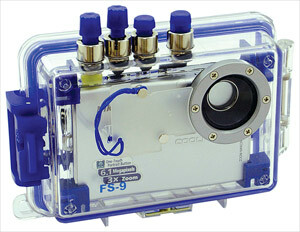 The Fantasea FS-9 housing protects the Coolpix camera from water, sand, dust, and other damaging elements. The FS-9 housing provides a built in Flash Diffuser and an anti-glare hood over the LCD screen. We extend thanks for an interesting invitation from Nikonian Richard McEnery (mcenergy) who serves as Executive Director for the Environmental Photography Invitational. This event is helping to gather photos bringing awareness and preservation to our environment. The annual juried photo competition will (along with awarding cash and merchandise to selected photographers) include an online exhibit, a six week gallery show, and publication in PhotoMedia magazine. The selected prints will celebrate the world's diversity along with the creativity and originality of photographers. Photographer and creator of EPI, Art Wolfe, will host the print exhibit in his state-of-the-art gallery space in Seattle. EPI is an annual community event involving foundations, sponsors, politicians, and photographers to promote environmental awareness. It is open to all photographers residing in North America including Alaska and Hawaii. Check here for eligibility and rules, and here for last year's results. This week's episode includes Photographers of the Year 2006 Segment #6 winners, new search capabilities in NikoScope, and all the latest from Nikon! Adobe Lightroom has finished beta-testing, and version 1.0 has a release date of February 19! Read more from our friends at Imaging Resource. New Member search function is now a part of NikoScope! Read more in our blog entry. Nikon annouces new firmware updates for the D40 and D80, as well as a new NEF codec for Windows Vista. Nikonians have been invited to participate in a new exhibit at the MusÃƒÂ©e de l'EysÃƒÂ©e. Read here for more information, or go directly to the site for rules and entry information! 2006 POY Segment #6 Winners!! Underwater: "Son With Green Turtle" by Gary Brennand. Architectural: "Apollo Bridge" by Igor Speka. Stage/Concert: "Move" by Christopher Peddecord. See their pictures, and the second place winners in the forum. 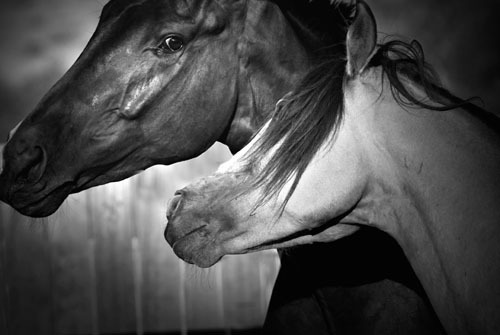 February's Online Photo Assignment is "Fill The Frame". Nikon has released a codec (coder/decoder), enabling the new Vista Operating System to read Nikon RAW/NEF files natively. All Nikon DSLRs from the original D1 onwards are supported, as is all Coolpix cameras capable of writing RAW file output; namely the 5000, 5400, 5700, 8400, 8700 and 8800 models. Not surprisingly, there are some teething problems with the codec. A noticable one is that editing the file in Vista with the codec will render the photo unreadable in Adobe Camera RAW. Users are advised to read the FAQ and peruse the developer blog for this and other exception conditions. Nikonians have been invited to participate as exhibitors in a worldwide photographic museum exhibition project at the prestigious Musée de l'Elysée, in Lausanne, Switzerland. You won't need to begin a hectic framing and mounting session to get your work ready for the show, which opens February 8. Nor will you have to grab your passport and start booking airline flights. Of course all Nikonians who can visit the museum during the exhibition are cordially invited, and the good news for those of us who can't make the trip is we can still participate, by sending our work over the Internet. This exhibition, with the theme "We are all photographers now" celebrates the changing scope of photography, which has changed dramatically in the past decade through advances in digital technology. The Nikonians community has strived for the past six years to promote that same concept by helping to break down the walls between amateurs and professionals through a cordial and friendly exchange of information and advice. According to the participation guidelines available on the exhibition's Web-site: "A hundred images every week will be chosen at random by a computer and printed on HP paper, so as to ensure the highest standards of archival quality. These pictures will then be shown as such for a full week before being replaced by the selection from the following week, and be subsequently archived in the permanent collection of the Musée de l'Elysée." As a memento of your participation, if your submission was selected for showing, you will receive an email with a photo of it as displayed in the exhibition. For more information and entry information-- visit Here. Nikon's troubles with CCD failures rears it's ugly ahead again in 2007. Nikon confirms reports compiled over 2006 that Coolpix 3500, 4500, 5000 and 5400 models may suffer from CCD "solder degradation." The previous year's hot summer had brought the manufacturing defects to light as user complaints were compiled and analyzed, leading the manufacturer to identify the component failure. The good news is that Nikon will replace the components for free, irregardless of warranty status. Join Rick and Jason as they discuss how to find "good light" answer listener mail, and offer their advice on buying a new laptop computer for photography.